**50% OFF Created Red Ruby 6-Prong Solitaire Ring 5 1/2 Carats 14k Yellow Gold from Kobelli. Price: $469.00. Discount: 50%. Categories: Rings, Sponsored. Deal Rating: 5 Stars out of 5. Store Rating: 5 Stars out of 5. Deal Recommendation: Recommended. Available Until: Not Specified. Thoughts: Deal Score 80 out 100. **60% OFF Emerald Cut Swiss Blue Topaz and Diamond Halo Split Shank Ring 2ct CTW 14k Yellow Gold from Kobelli. Price: $1,039.00. Discount: 60%. Categories: Rings, Sponsored. Deal Rating: 5 Stars out of 5. Store Rating: 5 Stars out of 5. Deal Recommendation: Recommended. Available Until: Not Specified. Thoughts: Deal Score 80 out 100. * Spring Sale Up To 45% OFF from 1928 Jewelry. Price: Not Specified. Discount: 45% OFF. Categories: Fashion Jewelry, Sponsored, Rings, Earrings, Bracelets, Necklaces. Deal Rating: 4 Stars out of 5. Store Rating: 5 Stars out of 5. Deal Recommendation: Recommended. Available Until: Not Specified. Thoughts: None. ***Save $2,999.99 2.25CT PRINCESS DIAMOND BRIDAL SET IN 14K WHITE GOLD from Superjeweler. Price: $7,999.99. Discount: $2,999.99. Categories: Rings, Sponsored. Deal Rating: 5 Stars out of 5. Store Rating: 5 Stars out of 5. Deal Recommendation: Recommended. Available Until: Not Specified. Thoughts: None. 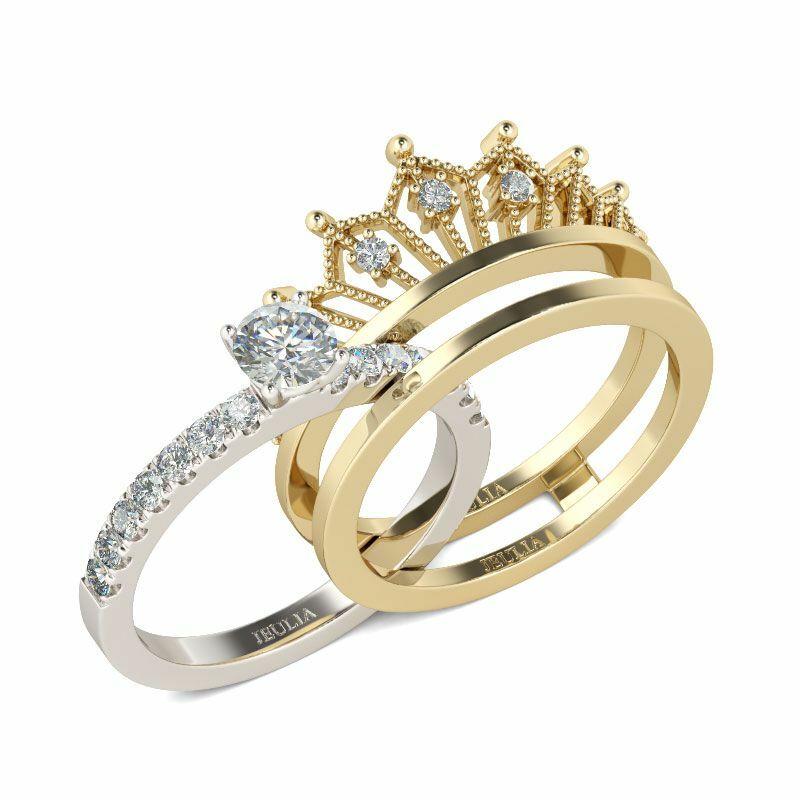 40% OFF 2 2/3 CT. K – VVS1 ROUND BRILLIANT CUT DIAMOND SOLITAIRE ENGAGEMENT RING IN 14K GOLD from Katarina. Price: $13,735.00. Discount: 40%. Categories: Rings, Sponsored. Deal Rating: 5 Stars out of 5. Store Rating: 5 Stars out of 5. Deal Recommendation: Recommended. Available Until: Not Specified. Thoughts: None. 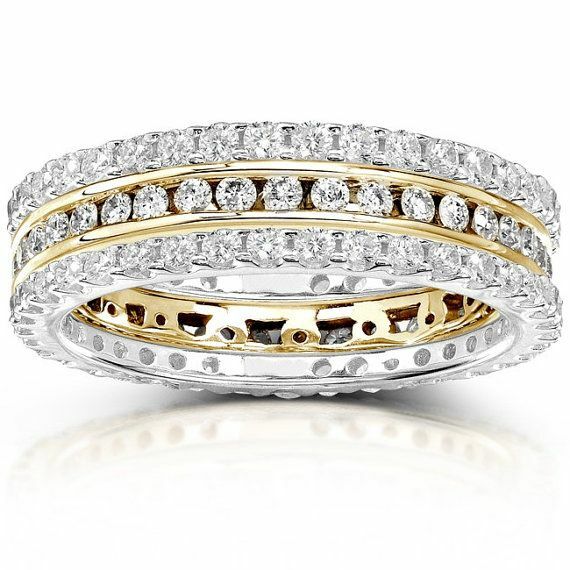 * Round Diamond 1 1/2 Carat (ctw) Stackable Eternity Bands in 14k Gold (3 Piece Set) from Kobelli Fine Jewelry. Price: $2,050. Discount: Save $2600. Categories: Fine Jewelry, Sponsored, Rings. Deal Rating: 5 Stars out of 5. Store Rating: 5 Stars out of 5. Deal Recommendation: Recommended. Available Until: Not Specified. Thoughts: None.